The San Pedro Lions Club received a donation from the Northeastern Association of the Blind at Albany (NABA), New York, USA on Friday November 1st. Handing over the donation was Dr Paul Beer, a well known visitor to Ambergris Caye and a friend of the San Pedro Lions Club. The two suitcases of items included sunglasses and other reading devices. 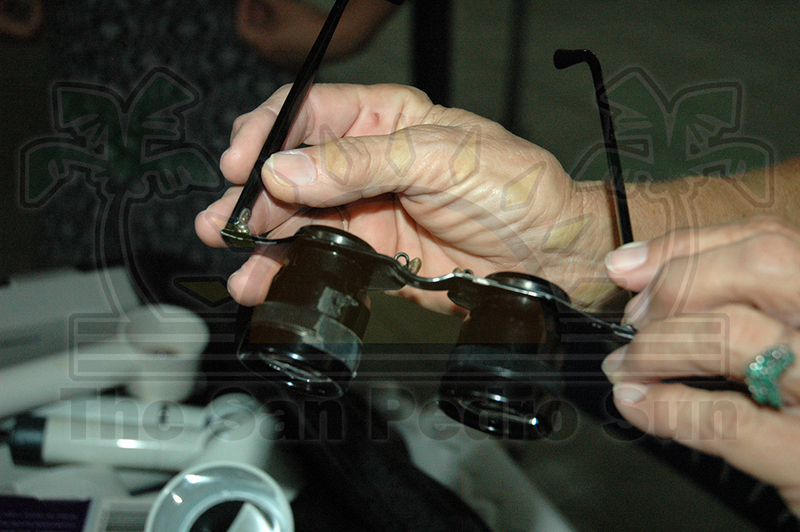 The two large suitcases included several hundred items and according Dr Beer, the low vision items can range between US $100 to $500 each when new, while each pair of sunglasses is estimated between US $30 to $50. “One of the suitcases alone can easily be worth US$5,000” said Dr Beer. 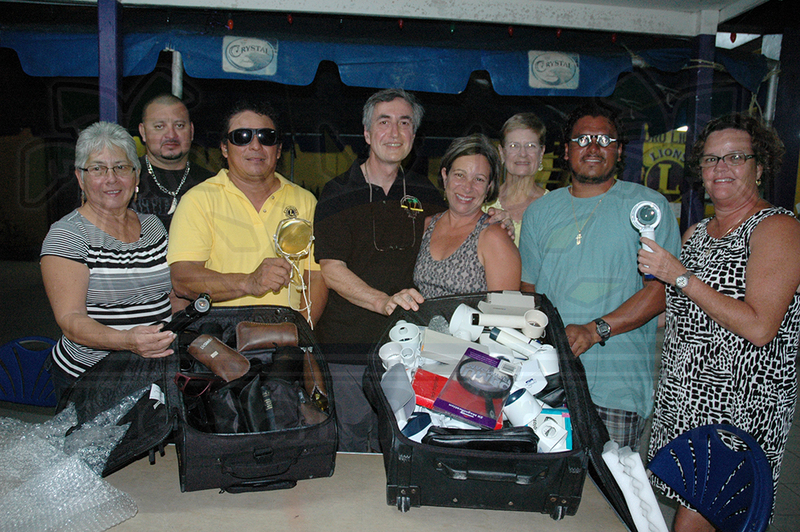 The donation was received by Rigoberto Kumul, the President of the San Pedro Lions Club who was accompanied by other club members. Kumul took the opportunity to thank Dr Beer and his wife Cindy, for being a constant support to the San Pedro Lions Club.